The Bon Ton and Temple Tree resorts are very popular and well known institutions on Langkawi island. Bon Ton is a boutique retreat with 8 antique “Malay Kumpung” style houses facing a stunning pool surrounded by palm trees and a lagoon. The neighbouring Temple Tree comprises an additional 9 antique restored villas, each with their own unique charm. 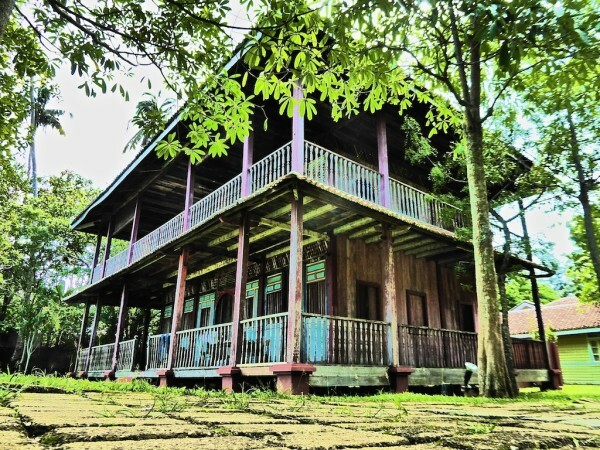 Staying in one of these traditional Malay houses will transport you into a bygone era, giving you a unique experience of what life used to be like in colonial times. The houses at Temple Tree are over 70 years old and are former derelict buildings from across Malaysia, dismantled, transported here and reconstructed to their former beauty. They cover an area of around 2.5 acres, resembling an outdoor museum of traditional Malaysian architecture. Guests can choose to rent an entire wooden house or just one of the individual suites inside. We stayed in Colonial 3, a large stately house originally from Georgetown in Penang. It was initially built by goldsmith traders in the 1920s. The bedroom and living space area is large with a four-poster bed and modern comforts added like a large flat screen TV, DVD player and French press for coffee lovers. 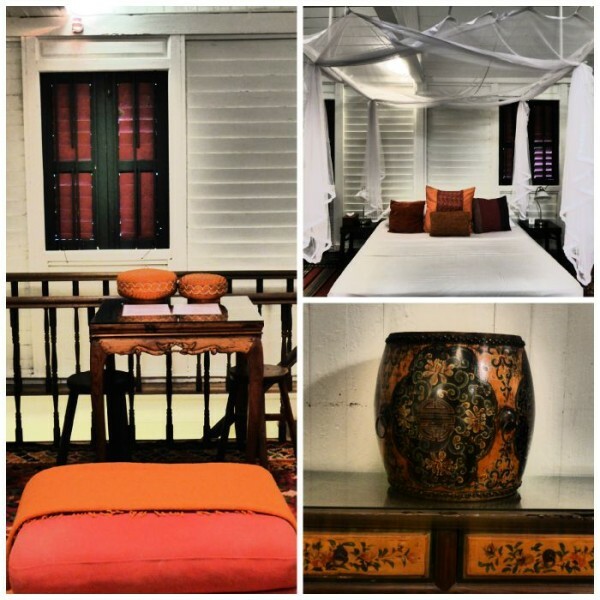 It is styled with Asian antiques with beautiful hand sewn rugs on the period style wooden floorboards, a comfortable sofa and beautiful ethnic cushions. 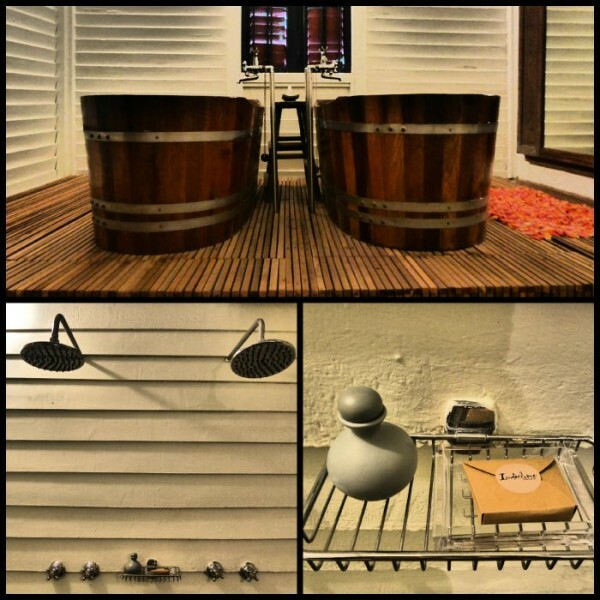 The bathroom area is separated into one large bath hall, which includes two wooden baths and two power rain showers – great for a romantic and relaxing moment after a day at the beach. 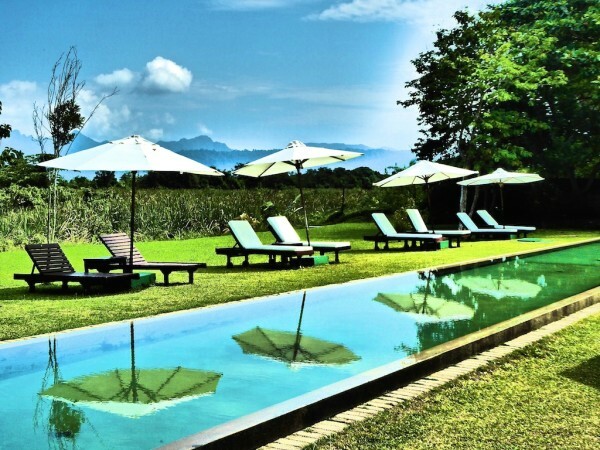 The long outdoor swimming pool at Temple Tree was one of our highlights. It is 34 metres (110 feet) long, making it ideal for morning swims before breakfast. The pool is made of concrete, which gives it an earthy and very natural feel. On a sunny day you will see the trees and sun lounger umbrellas reflecting in the peaceful water. The Nam restaurant at Bon Ton specialises in a variety of local and Western fusion dishes. The atmosphere is always busy with an international mix of people. The desserts are particularly famous and naughty and the coffee (made from roasted beans imported from Singapore) is one of the best we've tried in Asia. 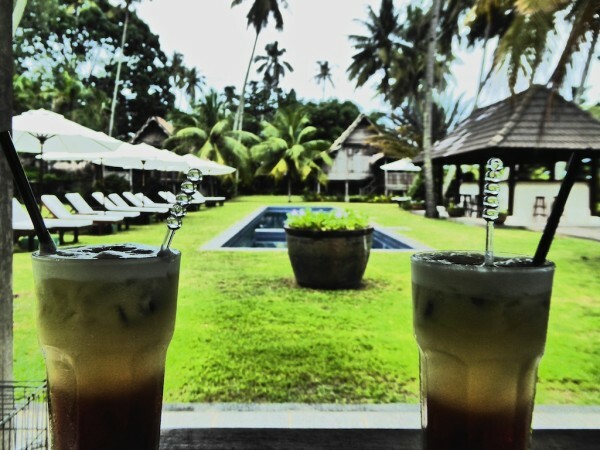 Our favourite was the signature drink: a pineapple fresh mint iced tea. Just try it! Bon Ton is a heaven for animal lovers. The owners created the Langkawi Animal Shelter and Sanctuary (LASSie) foundation designed to help abandoned animals on the island. It is part funded by the proceeds of Temple Tree, so you stay here knowing your money goes to an excellent cause. There are over 100 cats and dogs at the sanctuary here. 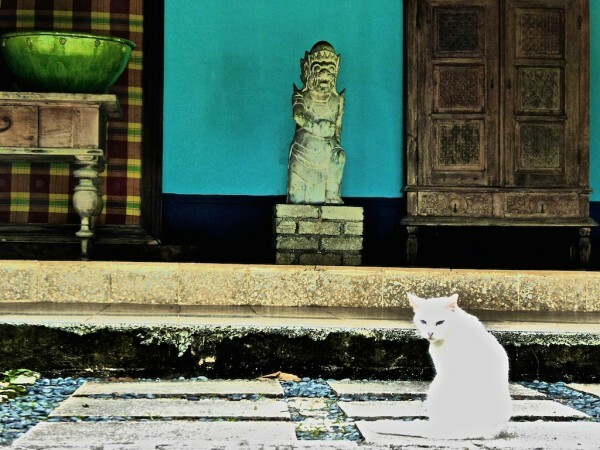 The cats are allowed to roam free, so if you’re a cat lover, you will be in paradise. 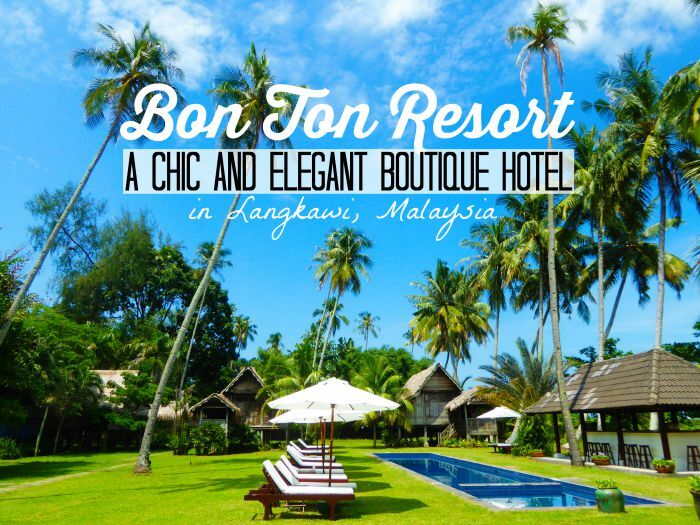 Read more about the Bon Ton Resort on their Booking.com listing.